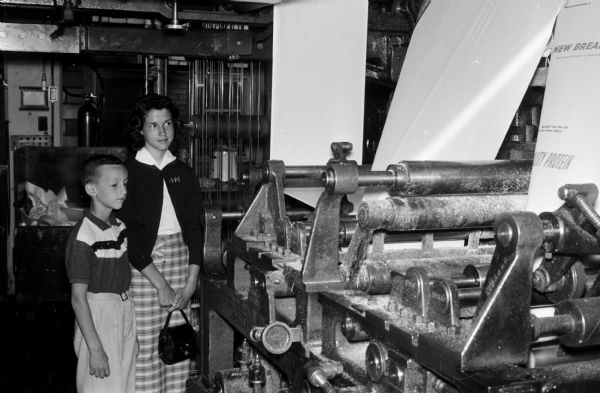 Pat, 8, and Vicki Rohan, 14, examine some of the equipment in the press room of Madison Newspapers, Inc. The photograph was taken for part of an article suggesting Madison places and activities for summertime visiting. Published in Wisconsin State Journal July 20, 1958. One of twenty five images.